It’s one of the most memorable days in the lives of young men and women of the Jewish faith and you want to plan a meaningful celebration: An NYC Bar Mitzvah Cruise/Bat Mitzvah Cruise aboard the Skyline Princess. A Bar Mitzvah or Bat Mitzvah is a rite of passage that families and religious communities celebrate in many different ways. 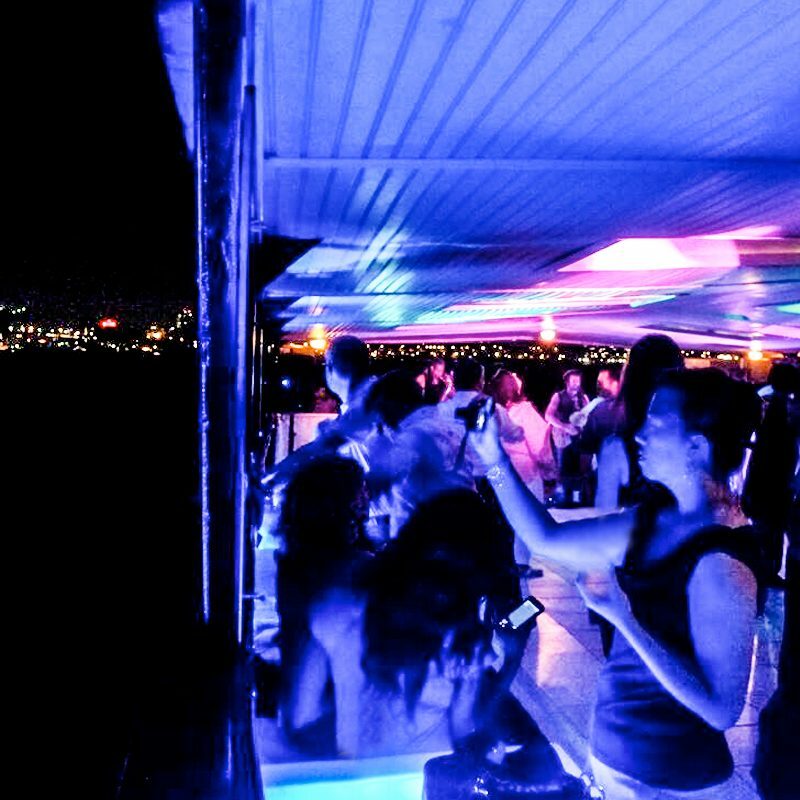 From an intimate party to a full-scale reception, Skyline Cruises is perfect for any occasion. Booking your Bar Mitzvah/Bat Mitzvah with Skyline means you’ll have access to our 3-deck, climate controlled luxury yacht, the Skyline Princess. We host all types of events of all sizes. For celebrations like a Bar/Bat Mitzvah, or a wedding, we can charter the entire ship for a totally private event. You can also book a private deck on one of our public cruises and we can even simply reserve tables for your party if you’re looking to plan a smaller celebration. And it costs much less than you think! We’re used to working with customers with all types of budgets. Skyline Cruises has been planning Bar Mitzvahs and Bat Mitzvahs for more than 20 years and we will work with you to fulfill your wishes and needs. If you’re looking for a traditional celebration, we can create a formal reception and include all of the elements you require. Others look for a less formal celebration. For some of your guests including the guest of honor, this may be the first “adult” party they attend. A popular trend these days is to give your Bar/Bat Mitzvah celebration the feel of a club or a lounge. The Skyline Princess can accommodate this and we’ll help you make it happen. Skyline Princess has a very large dance floor on the 3rd deck. A great feature of this deck is its versatility. It can be fully enclosed or open as covered rooftop party deck. This is where your DJ creates the exciting nightclub atmosphere with lighting shows and video that you want. We’ll also help you plan your menu and the food will be cooked fresh by our in-house chef. You can also bring a Kosher caterer or we can recommend one. We can offer up several packages from a cocktail party right up to a full banquet. The Skyline Princess cruises the calm sheltered waters of NY Harbor and Long Island Sound from ports throughout NY, NJ, CT, Westchester, and LI. You can view the magnificent Manhattan Skyline and Statue of Liberty or the impressive mansions, yachts, and Lighthouses of LI Sound harbors. Sailing all year round, fully climate controlled. Summer, Winter, Spring or Fall we offer a unique venue and a great value. For more information, contact us today!